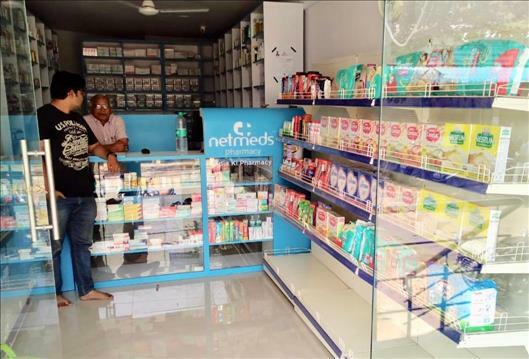 (MENAFN - ForPressRelease) Chennai, November 30, 2018: Netmeds.com announces the opening of Netmeds Pharmacy, a brick-and-mortar store in Nanded, Maharashtra, as the first Netmeds franchisee. The Netmeds Franchise programme will see the launch of a number of branded stores across the country, in locations ranging from metros like Chennai, Bangalore, Mumbai and Delhi to Tier 2, 3 cities like Surat, Ahmedabad, Pali, Rajasthan and Balurghat, West Bengal. About the strategy to the franchise, Netmeds.com Founder & CEO Pradeep Dadha said, We believe that the neighbourhood chemist shop and the local pharmacist will continue to play an important role in the overall healthcare landscape, especially when it comes to serving acute needs. With an eye to fill a void in the market, especially in Tier 3 and 4 towns where there is a dearth of chemist shops, licensed Netmeds stores will combine the companys impeccable reputation in the pharmaceutical sector with the pillars of e-commerce availability, affordability, and convenience. Netmeds Pharmacies will ensure customers have better access, assured quality, and convenience, while the entire franchise model will help create jobs in local communities and boost the retail economy. Currently about 65% of our online business is coming from non-metros. While we fully intend to continue to serve them through Netmeds.com website and app, we believe we can enhance the customer experience and improve access with Netmeds Pharmacies. The stores will offer access to medicines that may not be in stock locally, via our well-established supply chain, at lower prices, said Dadha. Going ahead, Netmeds plans to offer more in-store benefits and lower prices for customers over time as the two models integrate logistics and point-of-sale and merchandising systems. The company will maintain operations under the Netmeds brand, preserve its high standards and commitment to providing the highest standards in healthcare, and continue to source from trusted vendors and partners. Netmeds.com is a fully licensed e-pharma portal that offers authenticated prescription and Over-The-Counter (OTC) medicine along with other health products. Netmeds is the first-to-market to offer a pan-India solution for the quick online purchase and fast delivery of prescription medications, and has served more than 3,000,000 customers in more than 850 cities and towns. The portal offers customers the convenience of ordering health products online via a simple process. A team of qualified pharmacists vets the prescription for validity and dosage that assures dispensing only appropriate medication. Through Netmeds, consumers get access to more than 50,000 prescription drugs, for chronic and recurring ailments as well as enhanced lifestyle drugs and thousands of non-prescription goods for wellness, health and personal care. Netmeds.com is promoted by Dadha Pharma, a Chennai-based company and backed by investors including MAPE Advisory,OrbiMed, Tanncam, Sistema and Daun Penh. The Dadha familys pharmaceutical experience dates back to 1914, when they ventured first into the pharma retailing business and then into drug manufacturing in 1972.